My friend, Bill, had seen an Anthony Bourdain show where he was in Brazil and they served this drink. He had wanted one ever since. As I had posted a couple of cocktail posts, he searched out and found a bottle of Cachaca which is the liquor base of this cocktail. 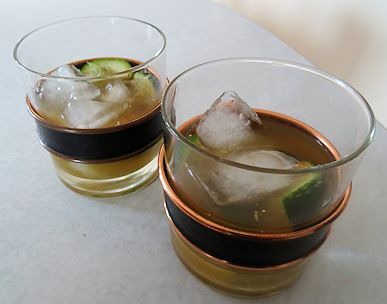 He came over and we made our first Caipirinha. The recipe is at the bottom of the post. I started by cutting limes in half and then each half into 4 quarters. Then, I added 10 ml (2 teaspoons) brown sugar to each highball glass. Four of the wedges went into each glass. I used a wooden pestle to mash the limes into the brown sugar. I added 50 ml (1/4 cup) of Cachaca to each glass with two large ice cubes and stirred until well chilled. There are advantages to having a quirky friend. This is a really good drink on a hot day. It is somewhere between a daiquiri and a margarita. However, I will warn you. She Who Must Be Obeyed was a little strange after drinking this. I will definitely have to make them again. Put the brown sugar in a highball glass. 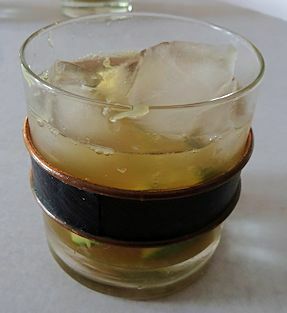 Put the lime in the highball glass and use a muddler to mash the limes. Add the ice cubes then the cachaca. I concur! These drinks are so tasty. I shall need another one soon. Remember what they did to She Who Must Be Obeyed! I stayed in the south of Brazil for a couple of years – and I got through my fair share of caipirinha while I was there. I loved it – but you do have to be careful, the sugar disguises the alcohol and it really sneaks up on you! First, I am very jealous of your time in Brazil. It sounds like a beautiful place. Second, thanks for the advice. Sounds like I should be making them for the missus! Brazil is awesome – very beautiful and much safer than most people think. Pay a visit if you ever get the chance; it has (even) more to offer than caipirinha (although the caipirinha is pretty good in itself!). I know people who have been to Brazil and loved it. My buddy who started this whole Caipirinha thing said he had a couple yesterday and was quite mellow!